Sliding puzzle with dice - addictive! 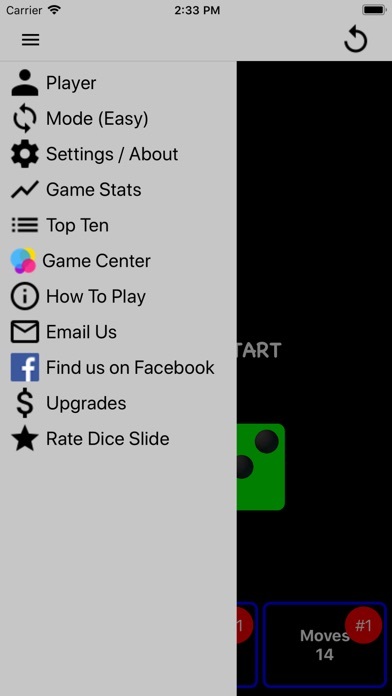 Dice Slide is a sliding puzzle game with dice. As you fill rows with the same number, those rows disappear. When all the rows are gone, you have won the game! 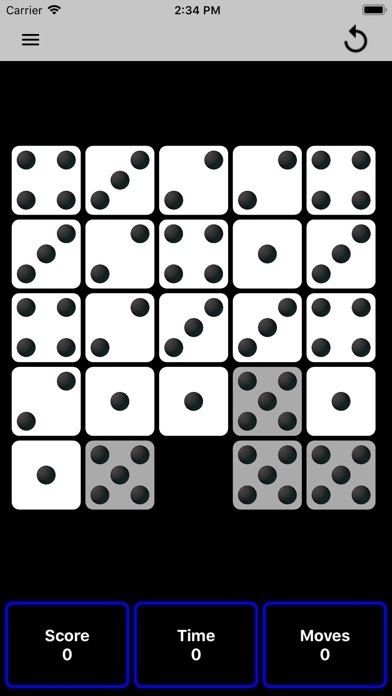 Win the game by arranging the dice into horizontal rows of the same number using the empty space to switch their order. Score bonuses for faster times & fewer moves. Challenge yourself by trying to get the highest score, fastest time, or least moves - or all 3! FEATURES * 3 game modes - easy (4x4 grid), standard (5x5 grid) & hard (6x6 grid). * Game Center leaderboards & achievements. * Customizable dice colors. * On-device top 10 scores, moves & times. * Playing statistics. * Built in tutorial. GAME PLAY At the start of a game the dice are randomly placed on the grid, but are allocated so there are exactly the right number to complete each horizontal row - except for the final row, which is one die short of the grid width. 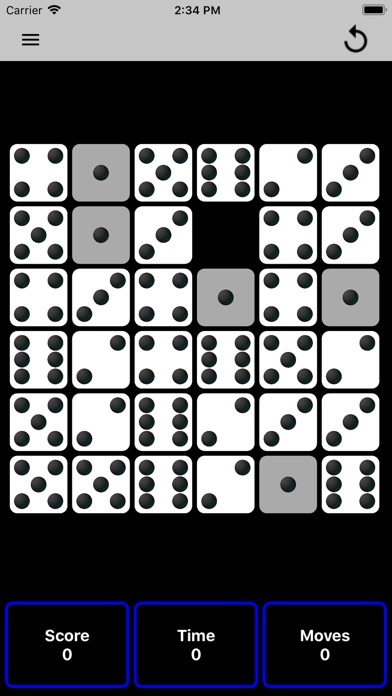 The objective is to arrange the dice into horizontal rows of the same number by using the empty space to switch their order. The short row can only be completed after all the other rows have been won. 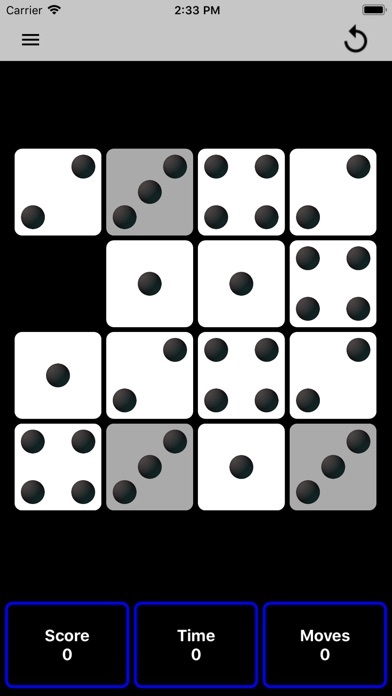 The dice allocated for the short row are highlighted a different color from the other dice to make them easier to identify. 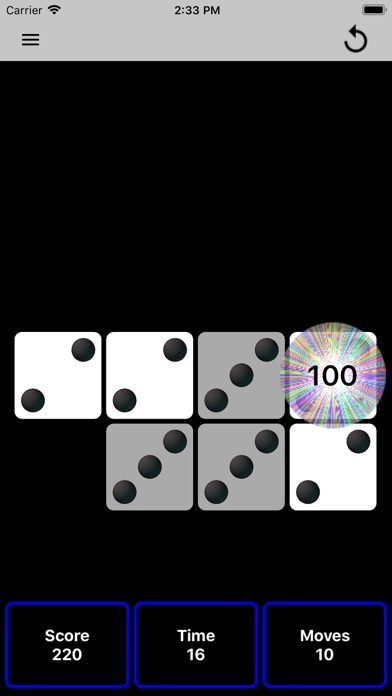 Move the dice by flinging them into the empty space with your finger (place your finger on the die you want to move, then "flick" it toward the empty space). Multiple dice can be moved by flinging any die in a row or column toward the empty space. 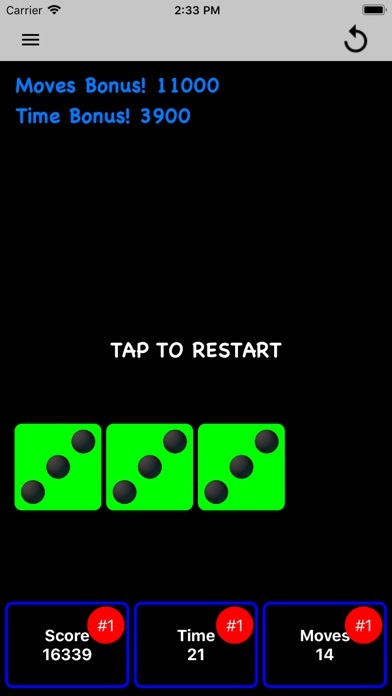 When a row is filled with dice of the same number, its dice will turn green then disappear. Any rows above will drop down to take the completed row's place. 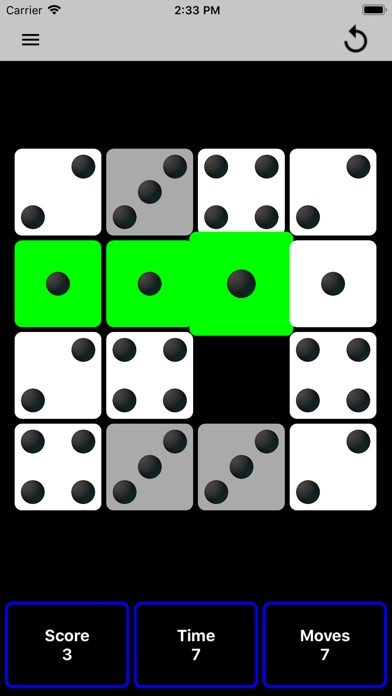 When all the full length rows are completed, the short row can be completed by placing all the remaining dice next to each other.